Owl City’s new song “Strawberry Avalanche” will be available across all digital platforms today Tuesday, June 2nd, and is the second in a series of monthly song releases leading up to Owl City’s full-length album Ocean Eyes – out September 1st. In addition, Owl City will be kicking off a fall US headlining tour in support of the new record September 9th and tickets will be available starting June 5th at 12pm EST through an exclusive ticket presale via MySpace Music. Tickets will be available for general on-sale purchase June 13th 2009. This Spring has already proven to be a wildly successful one for Owl City. SPIN dubbed Owl City one of the “Must-Hear Acts” at this year’s annual Sasquatch Music Festival, which featured performances by artists including the Yeah Yeah Yeahs, Bon Iver, Of Montreal and St. Vincent, among others. In addition, the first monthly single “Hot Air Balloon” was premiered exclusively on the tastemaker site AOL Spinner in early May and debuted at #1 on AOL Music’s Top 40 Songs Chart with over 270,000 streams in the first week – ahead of Beyonce, Ciara, Kelly Clarkson, Nickelback and Katy Perry among others. To date, the song has been purchased over 5,400 times and an additional 15,000 new fans joined the Owl City mailing list to receive a free download of the track in the month it was offered via the band’s web site. 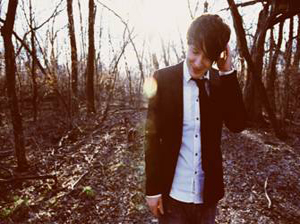 Owl City is making a colossal impact on the music scene and has become something of a phenomenon by selling more than 250,000 tracks and 27,000 albums digitally to date. This September, check out Owl City’s new album Ocean Eyes and don’t miss the opportunity to see Owl City perform at a city near you. interesting material, where such topics do you find? I will often go? We work with PR firms and browse the net for news, and new Web sites to showcase... Thanks for checking us out! thanks for the post, i was looking around to what new music i would like to pick and listen too and this song seems to be liked by lost so i might go out and check it out.